Super Brain Oxygenator: Traditional Taoist Herb & Tibetan Qi Tonic may support mood, creativity, stamina, immune strength, balanced weight, metabolism, endurance and focus. Thank you for being here. This is an amazing time on the planet. Participate in the Shift. 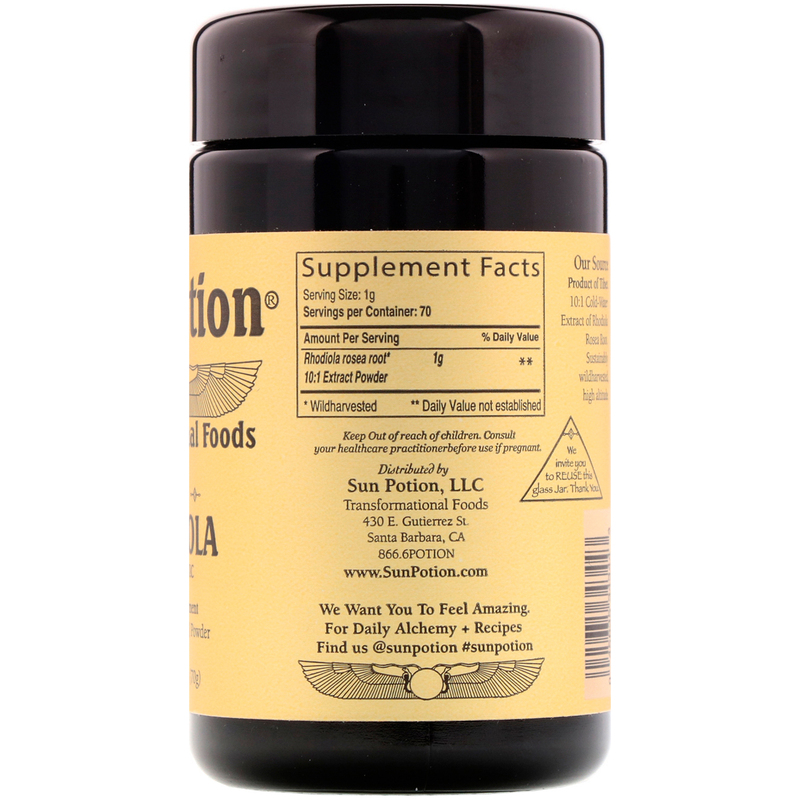 Experience Transformational Foods with Sun Potion! Add 1/2 teaspoon (1 g) in warm water or tea! 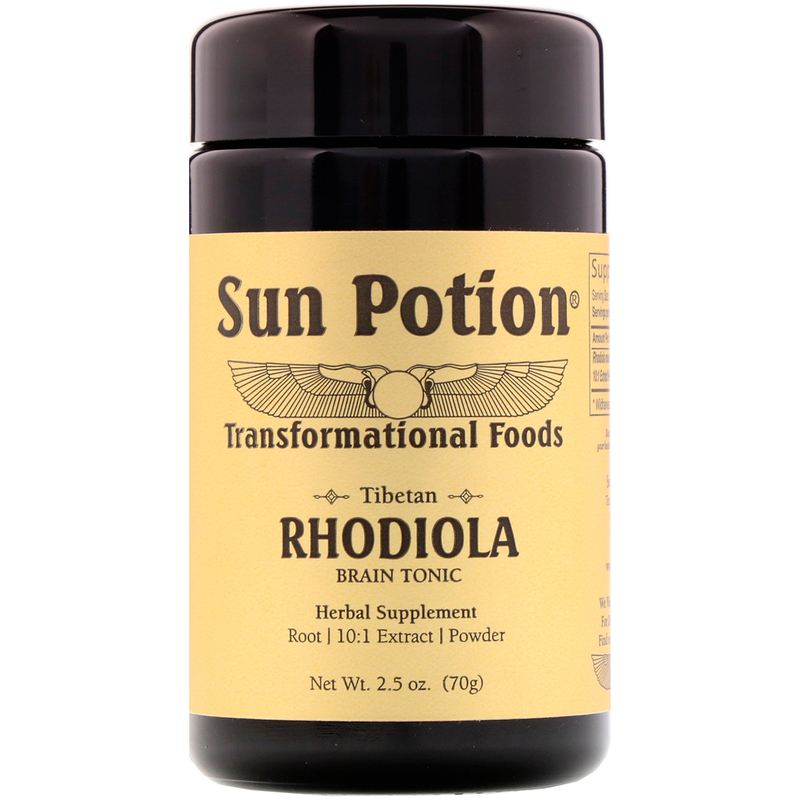 Excellent addition to potions, elixirs, smoothies. 10:1 cold-water, extract of rhodiola rosea root. Sustainably wild harvested, high altitude.